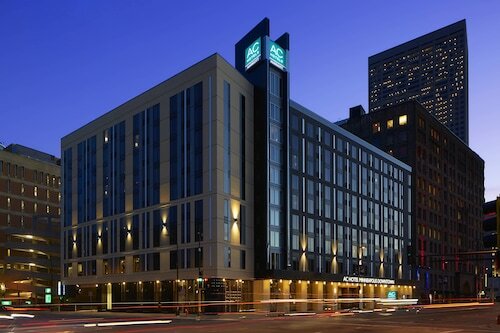 Located in Downtown Minneapolis, this hotel is within a 15-minute walk of University of Minnesota-West Bank Campus, U.S. Bank Stadium, and Guthrie Theater. University of Minnesota-Minneapolis and Nicollet Mall are also within 1 mi (2 km). Cedar - Riverside Station is 10 minutes by foot and Franklin Station is 16 minutes. Deepen your grasp on the local culture when you visit Weisman Art Museum. It's just one of the long list of reasons that many worldly wanderers come to the marvelous city of Minneapolis - St. Paul every year. You'll be pleased to find 8 possible accommodations that are within 2 miles (3 kilometers) of Weisman Art Museum. 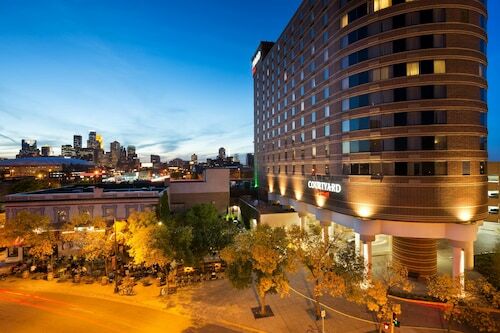 The Residence Inn Minneapolis Downtown at The Depot by Marriott and the Graduate Minneapolis are a couple of good places, located 1 mile (2 kilometers) and 0.4 miles (0.6 kilometers) away, respectively. There is an endless number of ways to spend your money while you are on vacation. If you're not fussy about where you stay, why not choose one of the more economically priced places? 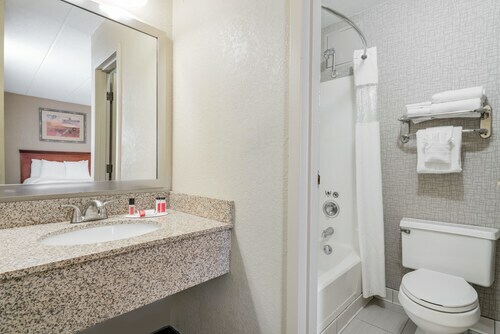 For example, you can find the Days Inn Hotel on University 0.8 miles (1.3 kilometers) away, while the University Inn is 0.7 miles (1.1 kilometer) away. 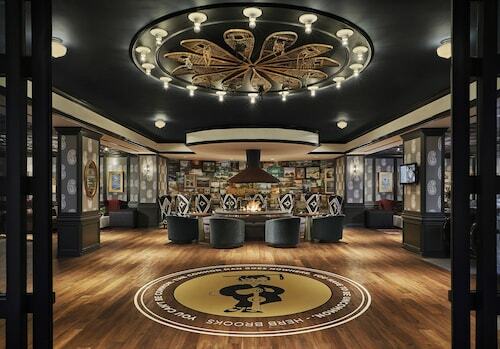 Live like royalty at one of the few luxurious hotels that are in the surrounding area. To avoid disappointment, it may be wise to book well ahead of time. 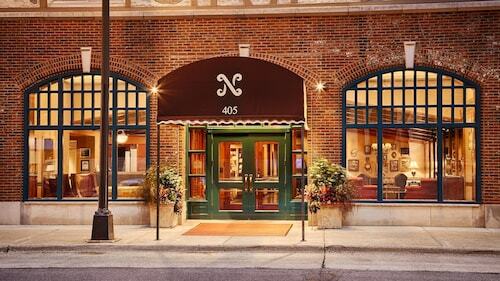 Try the Hotel Ivy, a Luxury Collection Hotel, Minneapolis and Loews Minneapolis Hotel. Whether you are a tea aficionado or a budding barista, you're going to need something to keep going. Just a short walk from Weisman Art Museum, Starbucks offers a great range of drinks and snacks. If you prefer to have fare that's more fulfilling, Panda Express is also close by. Sit yourself down and take it easy with a glass of wine or beer. Campus Club of the University of Minnesota is only a few minutes away on foot, and the bartenders will be all too happy to see you. 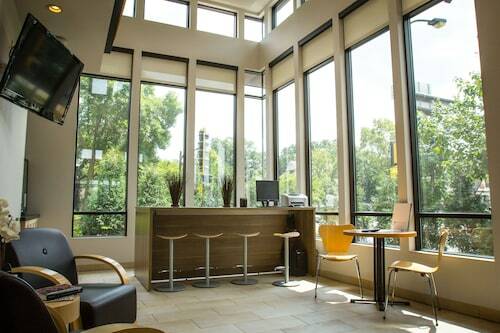 Learn what university lifestyle is like in this area by visiting University of Minnesota-Minneapolis. Make sure you come on a day when the campus is open to the public. University of Minnesota-West Bank Campus is not simply an institution of higher learning, but it is also respected as a place of inspiration for the nearby community. Get ready for an evening of entertainment and talent by visiting Theatre in the Round. Boasting a wide variety of exciting programs, exhibits and collections, Bell Museum of Natural History inspires, educates and entertains the many inquisitive patrons who walk through its doors each day. Are you hoping to find a green space where one can enjoy a picnic with the family, a relaxing walk or just bask in the sun? Head over to Murphy Square. How Much is a Hotel Room in Weisman Art Museum? 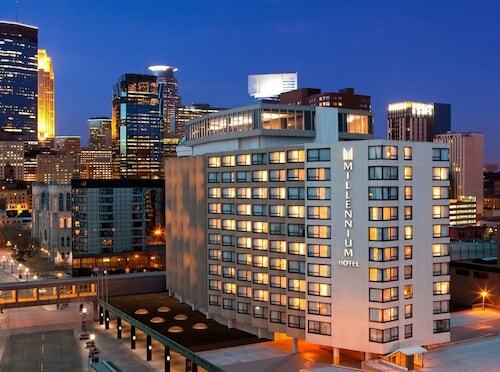 Hotels in Weisman Art Museum start at $88 per night. Prices and availability subject to change. Additional terms may apply.